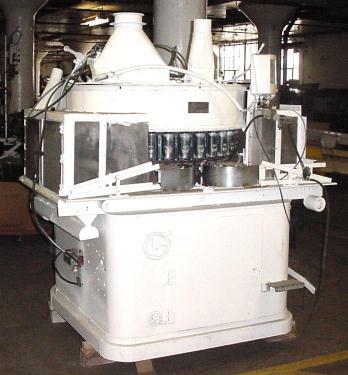 Nalbach rotary high-speed volumetric filler for free-flowing powder/granular products. Model 32RC. Serial number 810. Bottom-up fill with ±0.5% fill accuracy for a constant-density product. 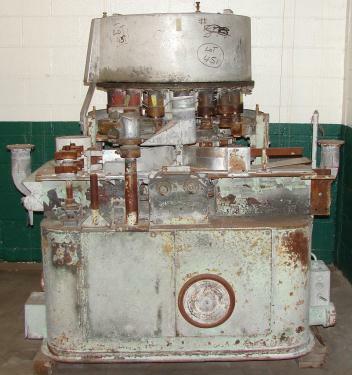 Filler has 32 filler heads, a totally enclosed dust hood, and includes a Nalbach 16RC seamer. Requires 480 vac 3 phase electrical supply. Good condition.